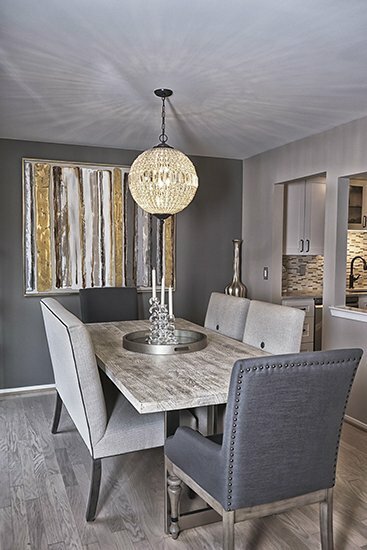 One of our favorite parts about being a local home decor and furniture store in Southeast Michigan is being able to offer our interior design services to the public. 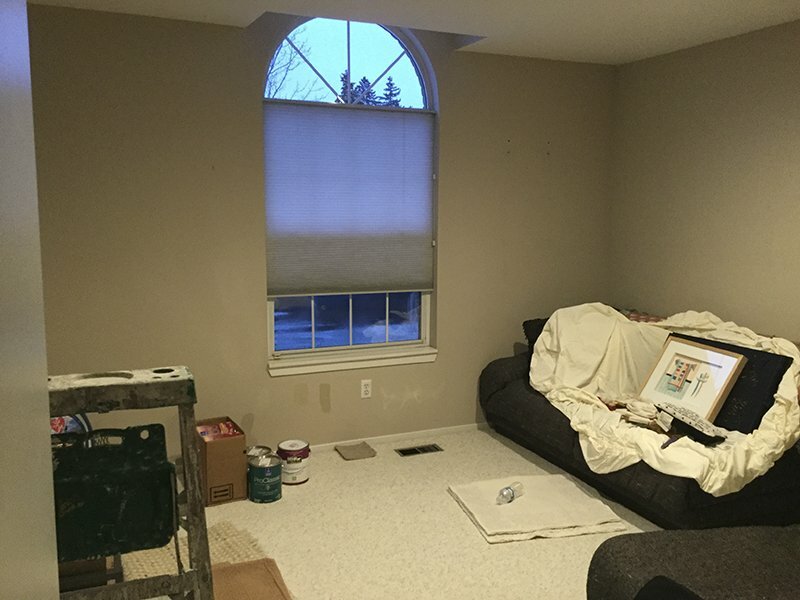 In this blog, we highlight one of our recent residential projects in Walled Lake. You won’t believe the before and after! Homeowner Shari. S. decided that after years of living with the same decor, her home was in need of an update. Having worked with Jackie Schwartz in years prior, Shari knew Jackie would once again be the designer for her. 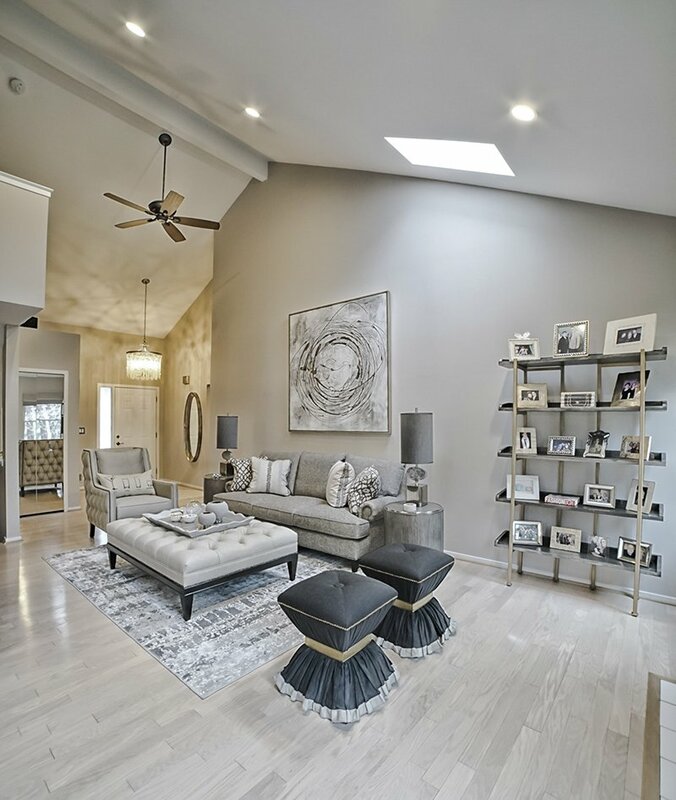 Previously, Shari’s home was more of a contemporary style and she knew she wanted something different but wasn’t sure which direction she wanted to go. Jackie was able to help her dream up a fresh and beautiful style that was new and transitional. Working with Jackie was incredibly easy for Shari. With Jackie’s help, they found pieces that fit Shari’s style and made creating a new look in her home a breeze. Jackie likes to begin design projects by asking the client about their space. How is the space used? Is it a place to cozy up and watch a movie or a place to entertain? It’s important to have a good understanding of how the room is going to be used. She also likes to ask if clients have inspiration photos that they’ve been collecting. Ultimately, the design is about the client and what the client wants. When starting this project, Jackie went to Shari’s house and learned that one room was going to be Shari’s den — a place where she would cozy up on the sofa. Shari wanted the sofa to feel as comfortable as laying on a bed and Jackie had just the piece in mind: the Milford Sectional by Norwalk. To complete the comfy-cozy feel of the sectional, Jackie selected the Memphis fabric, which is a wide-wale chenille that’s so soft it’s almost like upholstering with a blanket. Durable, cozy, and super comfortable, this fabric was perfect for the sectional in Shari’s den. Shari also fell in love with the Kirby Chair by Vanguard and Bernhardt Custom Series Sofa, which is used in her living room. Overall, both Jackie and Shari loved the way this whole project turned out. Shari’s place hadn’t been done since the 90’s so it was more than time for an update. This was such a huge upgrade! Q. 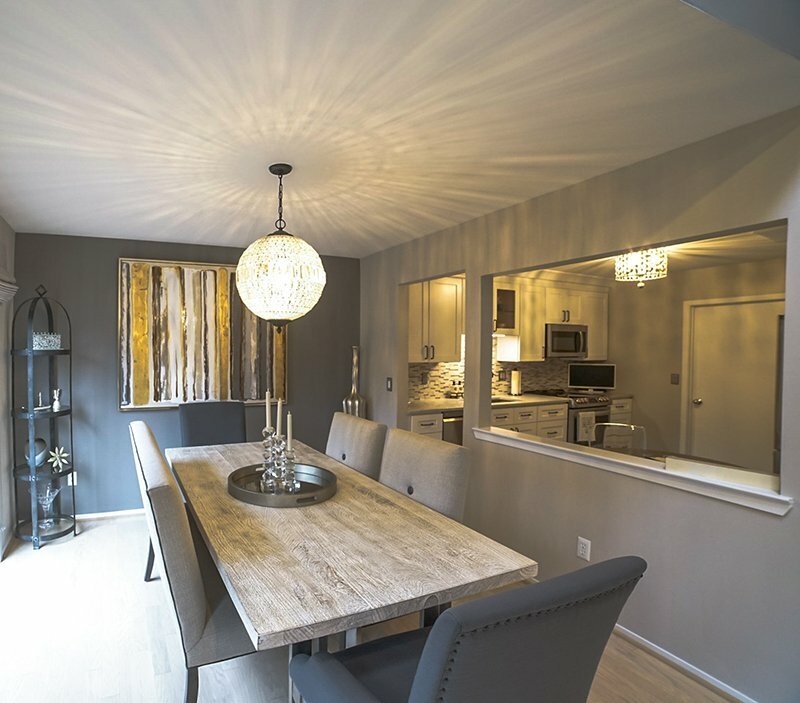 What made you seek out an interior designer to help with your home? A. I know Jackie and I am a lover of her taste! A. Before I didn’t know what I wanted. Jackie helped me find a style that I love! Q. What was your favorite part of having an HIW interior designer working in your home? 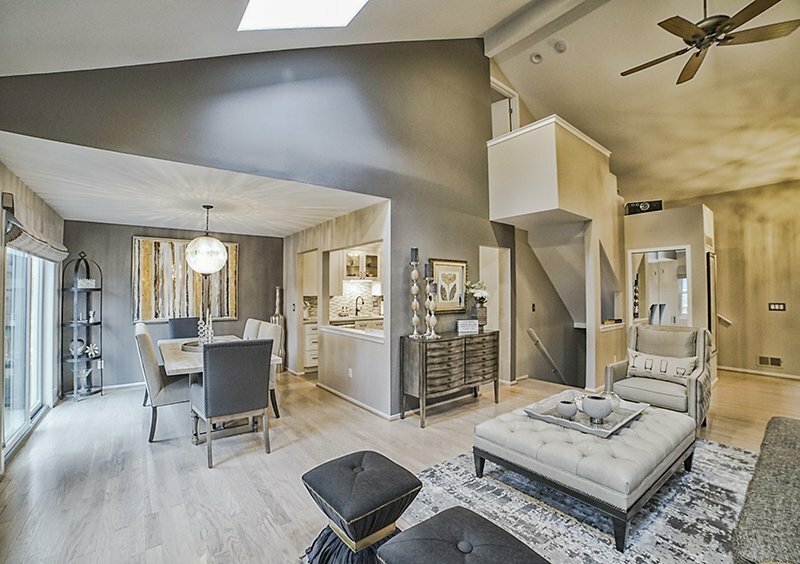 How would you describe the way the interior designer listened and interpreted your wants/needs? A. I love working with Jackie. She makes everything easy! She’s decisive, which is very helpful. Jackie went for the look that I liked and the look that worked for me. The team is very customer-service oriented and they take great care throughout the entire process. Q. Do you have a favorite piece from this project? A. I love the sofa in the den with the chaise! A. Jackie and her team are fabulous. Home Interior Warehouse has an unusual assortment of furniture that you can’t find anywhere else. I highly recommend her and her team! I would spend hours at the HIW showroom because there is so much to see.